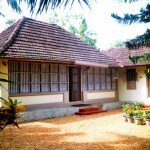 For comfortable stay in homely, quiet, pollution free, village atmosphere Kavalappara. Situate amidst lush green paddy fields, on main road, just 5.5 kms. away from the world famous Kumarakom Bird Sanctuary. 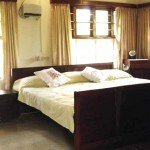 Ideal for a small family to spend your holidays. A home away from your own home. Vembanad lake is just 1.5 kms away from Kavalappara Homestay. A boat ride around the lake would be an unforgettable experience. 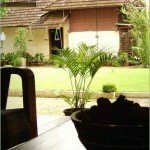 Kavalappara Homestay is a swanky yet cozy two storeyed mansion. It has A/C and Non-A/C rooms. Each room is bright and airy, with high ceilings and lots of windows and communicates with the toilets. 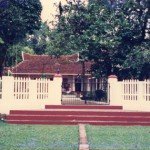 We can serve traditional kerala especially central Travencorean cusine, continental food, chinese food. Speed boat, country boats can arrange on demand. Fishing can be also arranged on demand. Transportation to and from the Nedumbassery Airport will be provided.